Frederic Corvest released FAC Chorus, an AUv3 chorus effect. 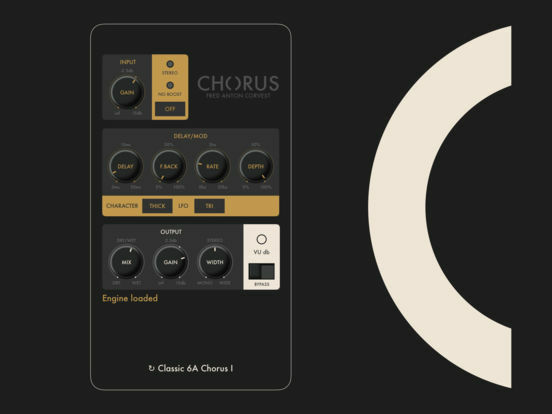 The app emulates classic chorus algorithms and models, with lots of parameters to tweak! The efffect is built upon two individual delay line paths controlled by common parameters. The behaviour of each delay signal path is defined by the chorus type parameter. Thick type means warm characters and emulates the behaviour of the BBD. Clean type, as the name says, provides a cleaner sound with a larger modulation. This arrives with a bunch of demos. Doug Woods posted thesoundtestroom demo this morning. There are also a couple from the developer; including a guitar performance, and here is a general demo of parameters. A welcome addition to iOS!